FOR IMMEDIATE RELEASE Local Doctor Certified in Whiplash Injury Biomechanics & Traumatology 3 Million Whiplash Injuries A Year from Vehicle Crash Gallatin, TN Tigges Chiropractic & Wellness, 2017 – Did you know that over three million whiplash injuries occur each year resulting from motor vehicle crashes? Of these whiplash injuries, 500,000 people will develop chronic pain, and up to 300,000 will have some degree of disability. Apart from the effect on health, there’s a significant cost to society. 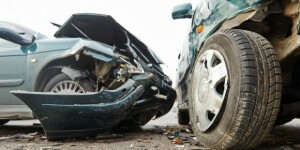 Approximately $43 billion of total annual HARM is attributable to whiplash and related injuries. (HARM is a metric for quantifying the total societal cost of road trauma.) Dr. Michael Tigges of Tigges Chiropractic & Wellness says consumers need to be educated about the issues surrounding whiplash – both concerning its treatment and, importantly, its prevention. In order to more effectively treat persons injured in motor vehicle crashes, Dr. Tigges is certified in Whiplash and Brain Injury Traumatology through the Spine Research Institute of San Diego (SRISD), a research center devoted to the investigation of motor vehicle crash injury. For the past 28 years, SRISD has focused research and education on the more common injuries sustained in everyday motor vehicle crashes, such as whiplash and mild traumatic brain injuries. As part of this intensive 48-hour training program, Dr. Tigges became familiar with the epidemiology of whiplash and brain injuries, the mechanical factors of motor vehicle crashes, and the wide range of physical injuries and clinical conditions that can occur. He learned how to conduct comprehensive physical examinations and all about the latest applications of cutting edge imaging technologies such as CT, MRI, single photon emission computed tomography (SPECT) and others. Dr. Tigges learned how to provide patients with the most effective and comprehensive treatment and rehabilitation strategies to ensure optimal outcome potential. The program also included an intense discussion of forensic risk analysis which considers how the various known risk factors can increase a person’s chance for injury or long-term symptoms. “By understanding the unusual biomechanics of this form of trauma, diagnostic methods and treatment can be much more effectively administered in the clinical setting,” said Dr. Tigges. About the Spine Research Institute of San Diego The Spine Research Institute of San Diego (SRISD) provides research and education on spinal health and injury prevention, in particular, cervical spine injuries resulting from whiplash trauma. Since 1992, the Institute offers the only available multi-module training program for health care professionals on critical aspects of whiplash traumatology. Dr. Arthur C. Croft is director of SRISD and is considered a leading national authority on whiplash trauma. He is the author of Whiplash and Mild Traumatic Brain Injuries, published by SRISD Press, along with several other textbooks, chapters, and over 350 professional papers. For more information, visit http://www.srisd.com/ or call 1-619-423-5475.
srisd.com Whiplash and related whiplash injuries such as spinal injury, brain stem injury and associated disorders are the focus of Spine Research Institute of San Diego. This entry was posted in News, Tips and tagged auto accident, AUTO ACCIDENT TIGGES CHIROPRACTIC & WELLNESS, DR. Michael Tigges, Whiplash. Bookmark the permalink.